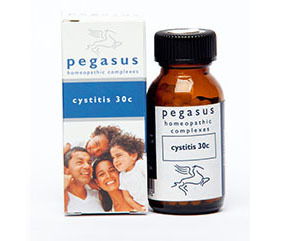 A homeopathic remedy for the typical symptoms of cystitis including a frequent urge to urinate, a burning sensation when urinating, pain in bladder area and discoloured urine. This remedy may also be helpful for incontinence and bed wetting. Apis mellifica 30c Frequent, involuntary urination with a stinging, burning pain; urine may be scanty and highly coloured; urine may have a coffee-ground sediment; last drop seems to burn. Berberis vulgaris 30c Radiating pains in the bladder region; the sensation of some urine left behind; urine may contain mucous; urge to urinate frequently; the urethra may burn even when not urinating. Cantharis 30c Intolerable and constant urge to urinate. Urine is scanty Chrome Hearts Earring and passed drop by drop with burning pain. Involuntary urination or dribbling after urination. Causticum 30c Burning sensation when urinating; urine dribbles; frequent urge to urinate with difficulty in passing urine. Equisetum 30c Bladder area is tender & painful with a feeling of fullness that does not improve after urination. Urgent desire to urinate and severe pain during urination. Urine flows only drop by drop. Bedwetting at night, incontinence in children and the aged, involuntary urination. Sarsaparilla 30c Bladder feels distended and painful with cramping. Cutting pain during urination and when finished. Scanty urine. At the earliest, dose every half hour for 3 doses, thereafter every hour for 3 doses then every 4 hours for 3-5 days. Should the condition worsen within 48 hours and especially if there is a fever or lower back pain, consult your medical practitioner or homeopath.